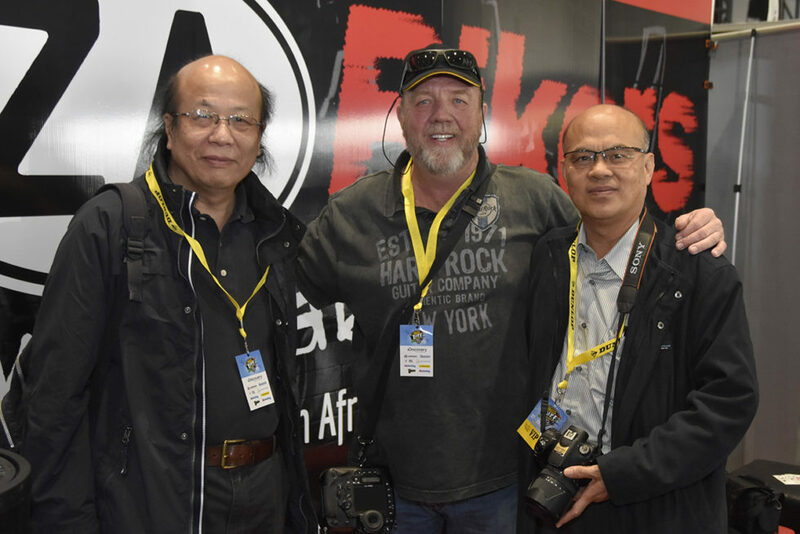 The South Africa Bike Festival which was recently held at the newly renovated Kyalami Race Circuit in Midrand, proved to be an excellent opportunity for major motorcycle brands to showcase their range of products. SYM Motorcycles and Scooters had a strong presence at the Festival with a variety of scooters and commuters on display. 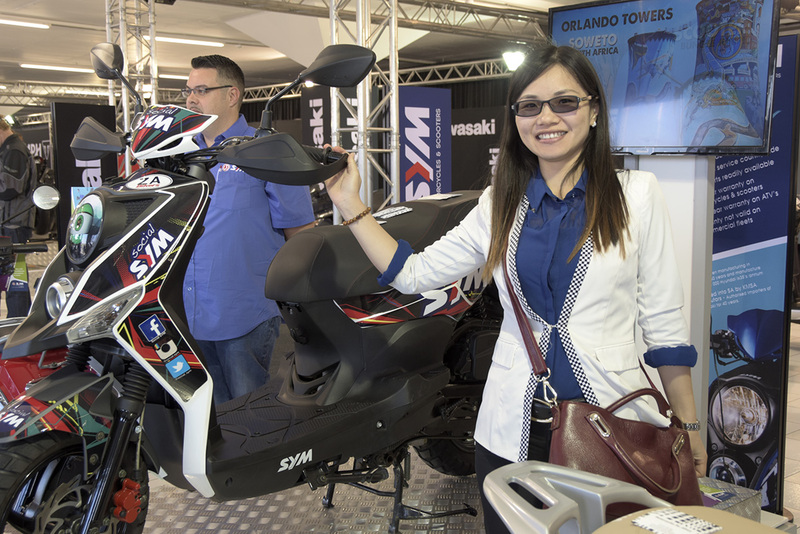 The event coincided with a visit from SYM HQ delegates, who were impressed with the growth and success KMSA are achieving with SYM in a tough economic market – SYM SA has achieved retail sales of over 200 units in several consecutive months. SYM is not new to SA but both previous custodians of the brand – Honda, then Suzuki, achieved only limited levels of success, (possibly due to the fact that they also have scooters within their Japanese brand range), whereas KMSA do not. 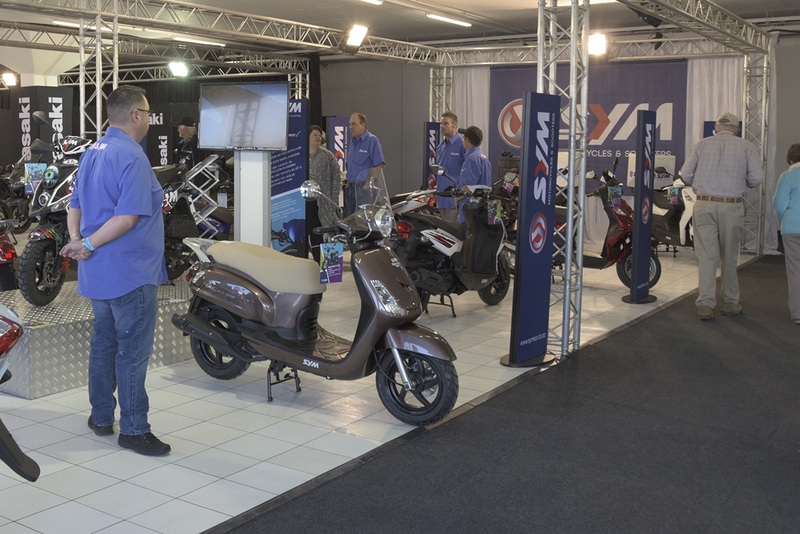 KMSA identified the potential of SYM products and through increased marketing efforts have managed to elevate the SYM brand to the forefront of the Scooter and Commuter market within South Africa. International guests from Taiwan included Mr Hsu, president of one of SYM’s manufacturing plants, Mr Emerson Lin who is Vice President involved with R&D and technical issues and Ms Sally Lai, a qualified engineer and now in Sales looking after the SA market. Ms Sally Lai, a qualified engineer and now in Sales looking after the SA market. Chris Speight (KMSA MD) outlined the purpose of their visit..
“They wanted to understand the strategies employed by us. Importantly they wanted to spend time with the KMSA technical team to review any issues and seek solutions as well as consult with our parts department to ensure that our requirements are being serviced”. This kind of vested interest certainly bodes well for the brand. In a market where inferior products have previously made consumers somewhat nervous, SYM has installed confidence by supplying quality products, parts back-up and after-sales service.